On the 15th I skied this 2,500�+ line in great condition.� After tagging the summit (airy mixed moves on the rimed and sugary summit block) in the early a.m. and soaking in the views, my skis took me from maybe 70� below the peak on a firm southward traverse along the summit ridge to an icy and discontinuous short S-facing chute.� With two tools I down-climbed this, landing near the top of a big patch of snow coming off the summit ridge, exposed to sheer cliffs.� From here (c. 7400�) I could ski the rest.� The patch offered a nice low-angle warm-up on chalky powder then a firm but softening crust�a relief, as nearly all the climb up seemed impossibly frozen bulletproof.� From where the summit ridge patch rolled over the huge drop, I descended skier�s right via a narrow ribbon of snow (about a ski length in width) on a ramp to arrive at the head of the business: over 2,000� of dreamy, creamy corn, steep-ish (averaging 40+ degrees), with a couple quite steep sections and cruxes including a rock band and a small �schrund.� These were just skiable (briefly busted out an axe for the first crux), and probably won�t be in that kind of shape for much longer, a couple weeks maybe.� There was a little avy debris from earlier in the week, but much of it could be avoided in favor of smooth slopes. Don�t see many Olympics reports, funny coincidence to see folks ski South Brother the same weekend (nice report!) as I logged on to post this. Here are a couple photos.� This one looks up the majority of the business.� The line goes to prominent cliff near top and exits up and right on the slanting ribbon/ramp. From near the summit, looking at the southward ski traverse towards the main line; The Brothers in background. There�s skiing in these here parts.� Mt Olympus left background. Puget Sound was socked in when I hit the summit, unfortunately. First crux: above that little tree onto a thin ramp that accesses the goods. Where the continuous fun began. Sweet.� The next spicy bit is barely visible through the rocks.� The Tunnel Creek divide is in the background. I spied this from Seattle on a Discovery Park run earlier in the week, the east face looking awfully fat with snow.� Made a late-week decision to have a go.� No partners materialized, so I finally got going late on Friday.� Ruled out the Dosewallips (and other approaches) due to their exposure to avy-prone slopes, settling on the relatively safe North Fork of Tunnel Creek approach.� Don�t be an idiot like me and try to on-sight this approach during the night with two non-functioning compasses.� I suppose a GPS would shine for a night assault or single push�it would be a loooong day. Awesome dude! you, sir, are a gamer. Way to get it. But why you skiing those skinny red things? Couldn't have said it better. Good approach route choice. Hey, very nice! Ryan and I and co tried it a few years ago as a day trip, but ran out of time (and sort of took a wrong turn in the main gully). Glad it worked out for you.� Great that this line is so visible from Seattle. I thought the approach was kind of a bear, and I think if I go back I'd try the valley where the trail is, and then pop over the ridge into that basin. Couple extra thousand vertical, but it might be worth it. Was the road totally driveable? Very Nice Job!! I think your timing was perfect for good conditions too. very impressive! Great TR and photos. Very nice! I went up the tunnel creek way solo earlier this year and that east face wasnt looking so hot. Way to get it. I love mt constance. Thanks for the comments, really enjoyed this trip and highly recommend it!� The first pic above is quite foreshortened, found a couple that show the complete route a little better. Go up the gully feature to the cliff band, then pop out right onto the small patch, then near the ridge top find a way to continue right through the rocky ridge-line (up the icy chute, a climbing crux) to the big patch, make for the summit block. Larger perspective presumably from Seattle, Brothers on left and Constance on right, the line appears to be a left-facing corner coming down from left of the summit in this shot. Phil, I also had considered your proposed approach, and think it's probably better.� It seemed less of a sure thing w/o hindsight; now that I've seen the other side of that ridge, I'm pretty confident that the S Fork trail to the up-and-over approach would go, and would prefer that to the burly 'shwack of the N Fork.� There'd still be greater stability concerns that way, but they look minor with all those trees. The road had enough snow that I parked where the abandoned N Fork road leaves the main road.� I bet you can get up another 1/2 mile or so by now, leaving a mile or so of road skinning.� Someone go get it while there's lots of snow and corn! Now every time you go to discovery you get to tell someone what you skied. Awesome times! Nice line. Looks like killer conditions. Phil, I always loved your crazy ideas for lines. Too bad we cliffed out on this one. I'm glad it worked out for you Eric, nice job! Regret not joining you on this one, hanging out in the clouds was not what i was hoping for. I'm new to the PNW and I live in Poulsbo and the Olympics are my new backyard and skiing playground.� So... anytime you want a partner to ski the Olympics or the Cascades, send me a PM.� I'm just looking for people to ski with. I look at constance every day and have wanted to ski the very line you skied.� Awesome TR... great for future reference.� The other pictures are great... the skiable terrain in the distance you mentioned surrounds Mt. Deception and Royal Basin. I've skied there once and would like to go back. Not to mention traversing from Obstruction point to the lillian glacier. ... so much to do. Thanks for posting and skiing! Wow, nice line. Thanks for posting and also for the great shots of some of the rest of the terrain out there. Especially cool that it can be seen from the city. It would be great to see Puget Sound on the decent, but there's definitely something special about cloud decks as well. Great trip! I have puzzled over this one for a while. That route doesn't make it look any easier than I imagined. Thanks for all the photos. They filled in a few blanks for me. 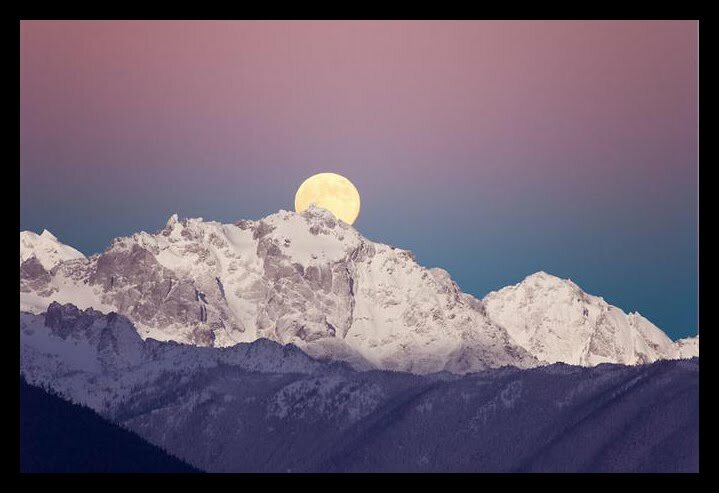 Thanks for the report.� It is good to see reports from the Olympic Mountains. I think this picture is from Dr. Dales webcam near Seabeck. Very inspiring TR and great pics! Thanks for posting. samthaman, know what you mean.� I have a vivid memory of driving my old car (the land-yacht) loaded w/ meager belongings to Seattle straight from undergrad school, and on I90 nearing Bellevue, some other similarly packed blokes had pulled over to take a picture sitting on top of their truck roof w/ the Olympics in the background--such was the stoke.� Pretty compelling joint we live in. Check this trip report from nwhikers.net.� There is a close up picture of Mt. Constance.� I don't know if it shows your route. Dang whippersnappers snagging new routes.